Recent press coverage has shown that International Students bring a positive economic impact to the UK, their presence generates in excess of £26bn for the economy and they support over 206,000 jobs in university towns and cities. In the wake of Brexit and targeting reduction in immigration we need to make sure the welcome mat is left out for these students. We can start by offering innovative, eye-catching, high-quality yet functional accommodation that makes living and learning in the UK more appealing. The University of Glasgow is investing in a 10-year capital plan to expand their campus by 100,000m2. Premier Modular recently worked with Graham Construction on a four-storey maths teaching block which contains lecture theatres, communal space, offices and learning pods. The programme for the building was rigid, therefore offsite construction was an obvious choice. Premier were chosen due to their ability to provide some defined design features such as high ceiling heights for lecture theatres, glazed atriums and terraces. In time for the new academic year, Premier Modular provided the University of Leeds with a single-storey building on hire to cover a short-term accommodation shortfall. The building provided six lecture rooms, WC facilities and storage to cover an increase in Masters of Business Administration (MBA) students. As the majority of those studying are already well-established business individuals, a well-appointed, acoustically enhanced business environment was required. The location of the building called for a cedar-clad external finish to blend into the surrounding environment. Premier have a history of being selected for these time-conscious, design-led projects. 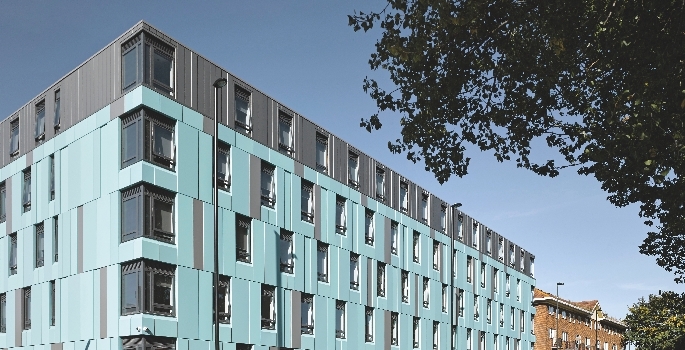 Sir Robert McAlpine chose Premier as a supply partner for The Foundry, a five-storey student accommodation block in Newcastle city centre completed in September 2015 for The Estates Trust. The block consists of a mixture of 54 studio flats, 105 en-suite bedrooms and two accessible rooms, associated living spaces, kitchens and study areas. Rachel Davis, Business Development Director at Premier Modular, said: “Completing ‘The Foundry’ using off-site construction not only gave the investors a whole year of additional return, it was also a deciding factor in the project-winning ‘Project of the Year Up to £10m’ at the Construction News Awards.